James Bond - The Secret Agent: The UK paperback cover for TRIGGER MORTIS is here! The UK paperback cover for TRIGGER MORTIS is here! 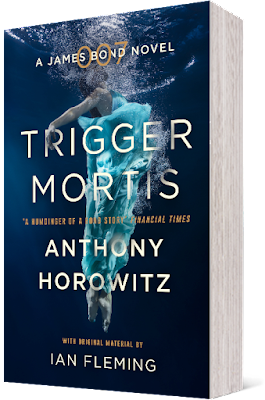 Our friends over at The Book Bond got the "scoop" on the paperback cover design for the upcoming release of TRIGGER MORTIS by Anthony Horowitz and I am happy for them. Well done! 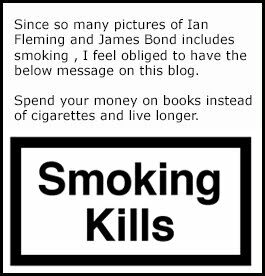 I believe they even released it one day before Ian Fleming Publications and that is how splendid marketing is done. So what do I think about the paperback design? Well first off I have been waiting for this to be unfolded since the hardback was out on September 8 last year. Also, this is my main fascination with James Bond. We are all James Bond collectors but for me, the books and the posters have been the highlight. I collect the covers of the books that I like or need to have. 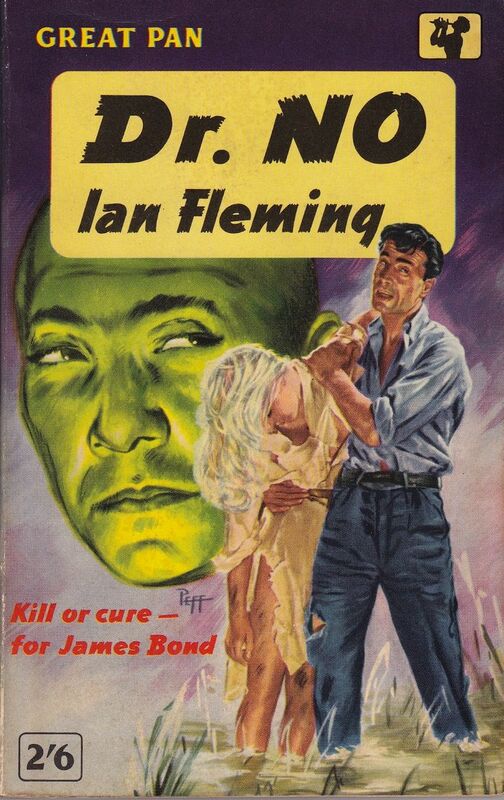 Sadly the James Bond books have not been graced with good cover designs since somewhere around 1986. 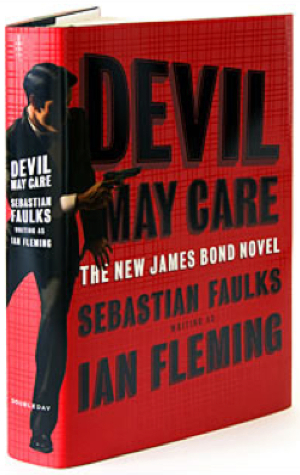 And that's a very long way to be waiting (I must say that the US cover for DEVIL MAY CARE was great but I consider the UK releases the most important one for me since Ian Fleming was British). I also liked the Trigger Mortis hardback cover alot. It was truly cleaver and a very cleaver marketing tool that the cover could actually be folded into a rocket. Read more here! And sadly this cover for TRIGGER MORTIS does not do it for me. This cover has nothing to do with the character James Bond and working daily with sales for motion pictures I guess that the publishers feel that they have sold the book to the fans and they have sold the book towards men but now, with the paperback, they are targeting women and therefore the cover design is far more feminine then for the hardback. So from a selling point that is off course cleaver but since I am a collector and a fan I much more hoped for something much more contemporary or something that was a bit more action packed. I wanted to see something drawn from the burial scene or something with Bond up close with Sin in the background. Something like the Pan Paperback for Dr No. I wish publishers and movie studios dared to use painted covers and posters like they used to. But in the end its all about selling books and on that matter I am sure that the publishers know what they are doing and have there reasons (metadata) on who will be their target audience the second time around. I am sure the book will be a great success for the second time. Please comment below on what you think about this new paperback cover for TRIGGER MORTIS. You can pre order the TRIGGER MORTIS paperback on Amazon UK for £7.99 below.